Michael Waxman REALTOR® It's not the promise of the price that will sell your home, it's the process of finding you the highest the market will pay currently. Getting to know Michael Waxman. Michael Waxman is a full time agent and has been in the business since 1990. His mission is to ensure his clients get the best properties to match their needs and requirements. He excels in negotiating deals and closing escrows. More importantly, Michael listens and communicates with his clients and acts promptly and accordingly to their requests. 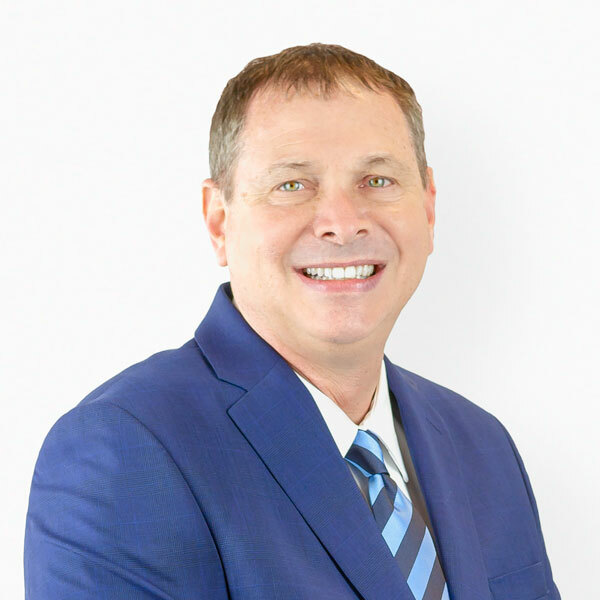 As a consistent top selling and listing agent; he has received numerous awards and continues to educate himself in real estate and related markets. His vast experience in listing and marketing properties enables him to provide maximum exposure for potential sale. Hard work, diligence, honesty, and integrity is what makes Michael the ideal choice. Having fun while seeking your dream home is just one of the many benefits you get from working with Michael. Michael Waxman is an extraordinary Realtor that I met by chance. I have sold two properties with him in the past three months. With each property he kept me well informed and advised me with honesty and integrity all the while helping me get the best price possible. If you are looking for a remarkable Realtor, Michael Waxman is your man. Michael was a consummate professional, during every step of the process. He held our hand when necessary, and backed off when that was more appropriate. He found other members of the team for us when we needed them, and was available to us what seemed like 24/7, but really wasn't (thankfully for his family!) And when the buyer's lender (not ours) dragged out our escrow a few weeks longer than what we had hoped, he never stopped pushing on our behalf...and communicating to us. What more can you ask? Michael, Our family is very much enjoying this beautiful home and are gradually discovering the surrounding community...including the wonderful hiking trails and the park, both of which have become fast favorites with our kids! Thank you for your hard work. Hey Michael, I finally got a mailbox key this week and went through the stack of mail and came across your Xmas card and gift card. Thank you for that and thank you for your help in helping me buy my condo. I also want to wish you and your family a merry Christmas and a happy new year!!!! Thanks again! I would highly recommend Michael Waxman to any person that is out there looking to purchase a home. He is very knowledgeable about programs out there for whoever is a first time home buyer. I love the way how he keeps in touch with you. He is a very good communicator very detailed about everything. He makes and takes time to make sure you understand the whole process. He works very hard and is determined to give it all his best to succeed in finding your ideal home. He help us with our first house with practically no money down. I am so happy with my first house. I never thought I could own a house and he made things possible. So if your out there looking for a house I would 100% recommend Mr. Waxman and team of people he works with to help you find it and for me and my family it was a fairly painless process because of his professionalism. When my husband and I recently decided to sell our home of 17 years, we hired Michael Waxman to navigate us through the Real Estate process. He was such a professional in every sense of the word. He kept us informed throughout the process and also kept things moving in a timely manner when they seemed to slow down. He was available to us at all times of the day and answered all of our questions. He went the extra mile when documents were needed and I was to busy to gather them. I would hire Michael again in a heartbeat. He was professional and dedicated and his knowledge and love of Real Estate is evident in his work. I met Michael when he was helping my daughter's mother-in-law purchase her home in Valencia. He was so friendly and approachable, I immediately liked him. She told me what a great realtor he was and how he went the extra mile for her. When it came time for me to sell and purchase my new home, I knew he was going to be the one to handle the transaction for me. I was selling a home that had been in the family for over 70 years. He knew it was going to be hard leaving a home where I grew up in and raised my children. I put my trust in him to help me through the transition. He was so patient and understanding. Michael is very knowledgeable. I knew what was going on every step of the way. He makes it a point to keep you informed. He is always reachable by phone or email and always returned my calls and messages in a very timely matter. Michael even told me where to find the deals for appliances and a great Mexican Restaurant. I could not have had a better agent and person to handle the sale of my home and help me find a new home. I am going to spread the word around to those who are looking to sell or purchase a new home to definitely use Michael. He is the "best!" Michael Waxman was my realtor on the purchase of my first home! He walked me through the whole process and was there every step of the way. I know that if it wasn't for him and his persistence then I wouldn't be a homeowner today. I would recommend Michael to anyone one of my friends or family. The bottom line is that he helped us to sell our home in a slow market under a short amount of time. Not only is he knowledgeable from every step of the process, which comes from his nearly 30 years of experience, but he's a naturally inquisitive person so he has a wealth of knowledge. With any transaction there are hiccups and Michael was able to come up with solutions. To add, to he's a super nice person who was always available to us and there was never an issue of trying to get a hold of him. He went above and beyond to sell our home since we were relocating to another city for work and under a short time line. We have bought and sold many homes before and he is head and shoulders the best realtor out there. While we are in the process of finding s new home in another state, Michael continues to check in with us to make sure that our buying process is going the way it should and he even called an old friend of his on my behalf to give me a better insight about the schools in the area. I can go on and on but the bottom line is Michael sold out house in a slow market very quickly and he was super easy to work with along a very stressful process. "Let me begin by saying that my husband and I were in a unique home purchasing situation... We were looking to potentially buy a home across the coast with no experience in the home buying process. We used USAA for a random referral of a realtor in the area we were looking to buy and they linked us up with Michael - little did we know we were being connected with the perfect realtor for our needs. Michael was extremely patient with my husband and I as we asked questions that only first-time buyers would ask. As mentioned before, when we started the process we knew little to nothing but by the end of the buying process, with Michael's expertise and ability to explain and teach, we had a much better understanding of terms, contracts, loans, etc. Not only did Michael provide the basic services of a realtor, he went above and beyond to help us find a home in our budget that was safe, well-built, suited our needs, and had nearly every element on our wish list. Given that we were house searching from across the country, Michael had to be creative with how he "showed" houses to us. He drove many miles, took meticulous videos, talked to many developments, and continually gave prompt and detailed feedback about houses on the market as they became available or as we added them to our saved listings. Not only does Michael know the market, he also knows houses, and quality houses at that. After our first discussion with Michael, we immediately felt at ease and trusted him because he was not pushy or forceful in any way. Especially due to the fact that Michael is dedicated to finding quality homes (inside and out). Michael cares about his clients and I truly believe that's what sets him above the rest. There are plenty of realtors that might have similar backgrounds/years of experience but few who have his dedication to getting to know the needs of his clients and truly caring that they end up with the house that is well-suited to them - no matter how long it takes on his part.